SEO benefits in numerous ways. Online and physical both kinds of businesses are now dependent on SEO because it put your brand in limelight. As the internet world keeps on changing that`s why SEO tricks also need some updates. 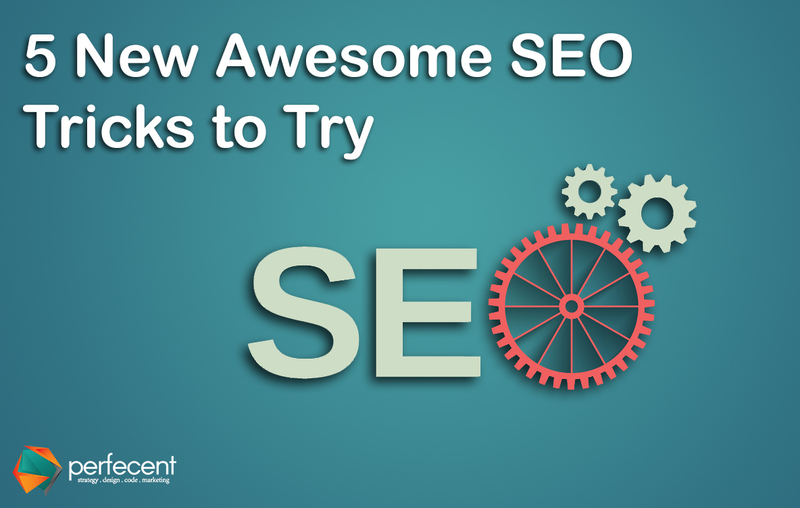 Here are some 5 new awesome SEO tricks that can generate organic traffic. Almost 1.2 billion people use their cellphones to search for any website, also according to recent statistics global mobile traffic is actually more than 15% of all Internet traffic and that`s a huge number. Obviously, no one wants to miss this audience. That`s why your website design should have an interface which is appropriate for cell phones. SEO in coming era will depend more on mobile phone domains than PCs so neglecting this fact will surely affect your optimization graph. Videos make almost 62% of all Google searches, 41% more clicks are granted to videos and it is predicted that these percentages will increase in coming days. Designing content with a blend of related videos will be beneficial for SEO. SERPs ranking is also improved when content includes videos. Now a change in content production strategy is required to have a good number of organic traffic. To get prominence over search engines along with existing techniques, you need a long-term planning as well and voice search function is one such factor that is essential to be added in your SEO strategy for more traffic. In previous years Voice optimization was full of error but now according to last year Google statistics only 8% of errors are found. Simply saying technology is getting wings so you have to add a pair too to meet the requirements. There is a dramatic rise in demand for voice function in different applications and websites so optimization rise accordingly is a must. Social media is a factor that is heating business directly and indirectly. All marketing trends are now linked to social media. When it comes to SEO, it’s considered as ideal to post your website link to as many social media mediums as possible. Focusing on any single platform is good but a limited approach. Facebook, Twitter, Snapchat, Instagram, Quora, YouTube etc. all have their own importance and traffic keeps on rolling to such platforms. Spreading your words through many platforms increases prominence factor. <H1> <H2> <H3> tags, keywords, and their placements, protocols to main heading etc. are very important factors of optimization. Make sure that you are just not bombarding the stuff on your website but have a keen focus on the language of Google. Put main headings in <H1> tags, and subheadings in <H2> and <H3> tags. Title of the page and main heading must have your keywords. Long tail and short tail keywords both are important to utilize them smartly on your website. Google is the world`s most popular search engine but some other engines are also growing rapidly. It is more efficient if you focus on them as well. For example. Bing has achieved one-third of search traffic so the market is there too. Most of the optimization on Bing is similar to that of Google. Only a few changes and efforts are required to get traffic from Bing.